Crispy and full of flavor, oven baked potato wedges are just as delicious are they are easy to make. And after you sample these, be sure to try the Garlic-Herb, Spicy, and Parmesan variations included below. Place 1 oven rack in the top third of the oven. Preheat the oven to 425°F. Place the potato wedges on a rimmed baking sheet. Drizzle with oil and toss well until lightly coated. Arrange the potatoes in a single layer. Remove the potatoes from the oven, toss with salt to taste, and serve right away. 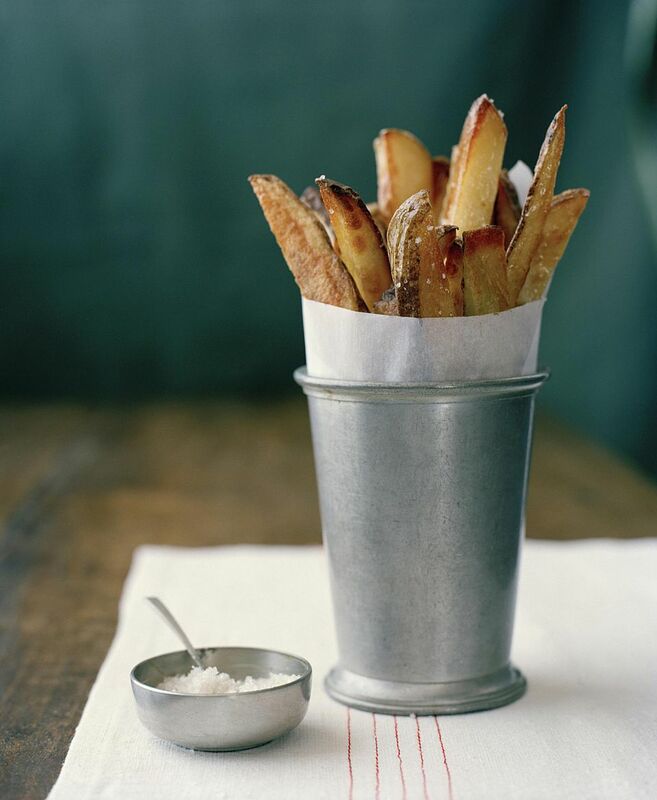 • For thinner, crispier fries, cut each potato into 16 wedges. Bake at 400°F for 45 to 50 minutes, turning once. • To make Garlic-Herb Potato Wedges, toss the oil-coated potatoes with 1/2 teaspoon kosher salt, 1/2 teaspoon dried thyme, 1/4 teaspoon dried oregano, 1/4 teaspoon dried rosemary, and 1/4 teaspoon ground black pepper before baking. Season to taste with salt. • To make Spicy Potato Wedges, toss the oil coated potatoes with 1 teaspoon chipotle chili powder, 1 teaspoon paprika, and 1/4 teaspoon garlic powder. Season to taste with salt. • To make Parmesan Potato Wedges, toss the oil coated potatoes with 3 tablespoons grated Parmesan cheese, 1/4 teaspoon garlic powder, and 1/4 teaspoon paprika. Season to taste with salt. • When buying potatoes, choose fairly clean, smooth, firm potatoes. For even cooking, pick potatoes that are about the same size. Select regular shapes to save on waste in peeling. Do not select wilted potatoes or those with wrinkled skins, soft dark spots, cut surfaces, or green areas. Green spots mean exposure to light; cut the spot off before cooking to eliminate bitterness. • Potatoes are more fragile than you might think, so handle them carefully to prevent bruising. Keep them in a cool, dark, well-ventilated place. If stored in a place that is too hot, the sugar will convert to starch and the potatoes will lose their natural sweetness.